The Cold War International History Project (CWIPH) is a research institute working on international Cold War history. Based at the Woodrow Wilson International Center for Scholars in Washington, D.C., CWIHP disseminates new information and perspectives on the history of the Cold War. They have just published a e-Dossier on the "Zhou Enlai and China’s Response to the Korean War", edited by Charles Kraus. The translated documents included in this collection provide new details of Chinese aid to North Korea in the summer of 1950. Prior to the entry of Chinese troops in October 1950, Zhou Enlai, for example, coordinated the supply of materials to North Korea via Andong (Dandong) and other border cities. According to Zhou’s papers, North Korea even requested that it be allowed to build storehouses in China for the depositing of material aid from fraternal countries. Kim Il Sung also requested that he be allowed to temporarily stow away North Korean factory equipment inside of China so as to avoid the loss of this equipment to American bombs. What is interesting for India (and Tibet) is a telegram from Zhou Enlai to Wu Xiuquan [Vice Minister, Ministry of Foreign Affairs] and Qiao Guanhua [head of the Asia Department of the Ministry of Foreign Affairs] sent 13 December 1950. It shows Indian diplomats (B.N. Rau and K.M. Panikkar) eager to play a role of peace-makers in the Korean conflict. This is hardly a few weeks after Tibet, their neighbour and friend, was invaded and when the Tibet issue was still on the table of the UN General Assembly. The Dalai Lama's appeal to the UN started by these words: "The attention of the world is riveted on Korea where aggression is being resisted by an international force. Similar happenings in remote Tibet are passing without notice." The main reason why Nehru's did not defend Tibet at the UN was because he wanted to get involved in the Korean issue and did not want to yield his role as ‘neutral’ mediator. The fact is that in his Beijing office, Panikkar was spending most of his time on the Korean problem; he was hardly concerned by the invasion of Tibet. On the eve of the debate on Tibet in the General Committee of the United Nations, Nehru cabled Rau, India’s Representative at the UN: "We are entirely in favour of deferring consideration of Tibet question because of various developments, more particularly arrival of Peking representatives [a Chinese ambassador arrived in Delhi]. It is of vital importance that every effort be made to lessen war tension, more especially in Far East where situation is dangerous. We understand that U.K. and U.S.A. are also exploring methods of dealing with Korean situation so as to remove Chinese fears and relieve tension." Tibet was sacrificed for the sake of peace in Asia. India was so keen to see Communist China becoming part of the United Nations! On November 20, in New York, Vijayalaksmi Pandit (Nehru's Sister) had announced : “India’s view is that communist China should be given a seat in the UN”. Again and again, oblivious of India’s interests and security threats underlined by Sardar Patel, the Indian diplomats worried about one thing only: Communist China's entry into the UN. The Government of India regretted the invasion of Tibet by China, chiefly because it would not help Chinese admission to the UN. By the way, as already mentioned on this blog, the Tibet issue is still pending in the United Nations. This telegram of Zhou to his assistant confirms that Delhi was more interested to play a role in the Korea than save the borders of India. Have received your telegram from 16:00, [December] 11. It is right for you to postpone your meeting with the Indian representative. But when Rau asks to meet again, [you] should still see him once. Yesterday I received [Kavalam Madhava] Panikkar in Beijing and told him that we always insist on solving the North Korea issue peacefully and now are more willing to make great efforts to quickly end the military operations the Chinese People’s Volunteer Army and the North Korea People’s Army were compelled to take to resist the American invasion. It is good that the Indian government is making great efforts for peace; however, it has not been entrusted [to do so] by either America or the UN. Now what counts the most to end the war quickly is the USA. We are eager to know the whole opinion of the USA and the UN regarding conditions for an armistice. The Indian ambassador can make great efforts in this regard. As to the 38th Parallel issue, it has long since been violated by the American invading armies and MacArthur, and is no longer in existence. Panikkar expressed agreement to this fact right away. I also pointed out that, at that time, many of the thirteen countries followed the USA, especially the Philippines, whose armies followed the USA in invading [the North]. Now the Philippines has also proposed an armistice, but their true intention is very clear. The content of the above conversation, and especially the issue of the 38th parallel no longer being in existence, can be conveyed to Rau when you see him. Regarding the thirteen countries’ experimental proposal, if they come to inquire about it, you can tell them that an armistice should not be a fraud, but should be able to truly end the Korean War. Thus, it must require the USA to state clearly its opinion on the armistice conditions and see whether it wants to continue the war and expand the war or end the war. So if the gentlemen representatives from all countries hope to truly end the Korean War, [they] should call for what the Soviet representative has proposed: that all foreign armies withdraw from North Korea, instead of anything else. This article in The Hindu is extremely misleading (as often with the Chennai paper when it reports about China). First, the Nyingchi (Tibetan: Nyingtri) prefecture is already one of the two main tourist 'hubs' on the Tibetan plateau (with Lhasa). I have several times mentioned on this blog the fast track development of the region. Mass weddings of Han Chinese are often organized; tourists come from the Mainland to celebrate Valentine Day in this 'paradise on earth'. Hundreds of thousands of Chinese tourists are yearly visiting the place, located north of the McMahon Line. Vice-President Xi Jinping himself came in July last year. 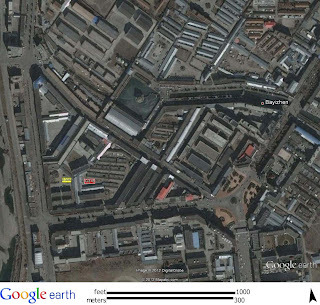 Therefore it is wrong to say that it will be a new 'hub', it is already a very important and developed one in Tibet. But there is worse in The Hindu's article, it says that the 'new' tourist hub "deal a blow to hydropower lobby groups who have proposed the construction of a massive dam on the Brahmaputra's 'Great Bend". It is absolutely wrong. On the contrary, it could be a great advantage. If one looks at the history of the mega project since the early 1980's, one of the main issues was the access of the Yarlung-Tsangpo (later Siang and Brahmaputra in India) Gorges. The problem of access was partially solved when a tunnel to Metok (Chinese: Mutao) was opened in December 2010 (at the time of Premier Wen Jiabao's visit to India). But the infrastructure remained a serious issue to even envisage a project of this scale. With the new developments, it will be much easier for the Chinese engineers to draw the plans for a mega power plant in the Great Bend. I have also mentioned on this blog that the railway line will probably be extended in a few years time to Nyingchi. But there is more serious implications for India. Bayi, located in Nyingchi prefecture, not far away from by the Airport on the Yralung-Tsangpo river, is the main military 'hub' in Tibet today. It is an ideal place for the People's Liberation Army (PLA), just a few kilometers north of the McMahon Line. Guess who will benefit the new infrastructure coming along with the enlarged 'tourist hub'? 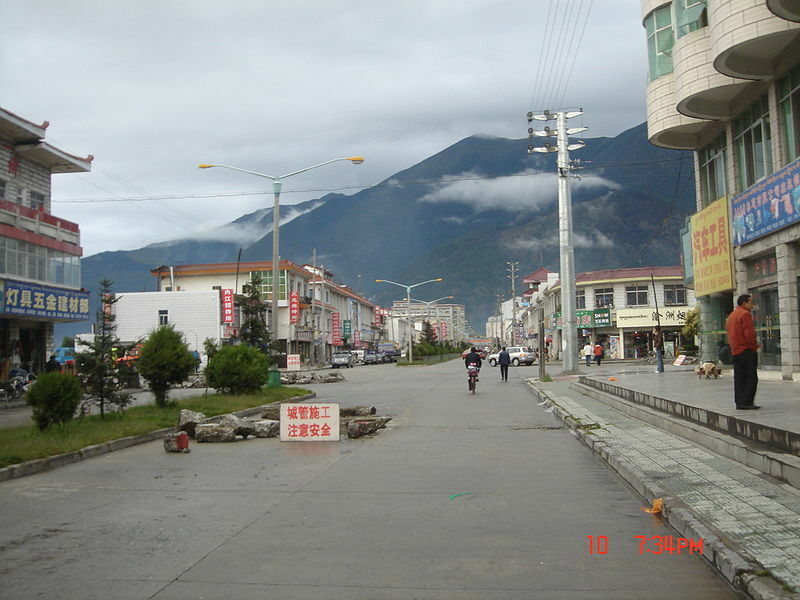 'Bayi' is a PLA town. Bayi means 'Eight-one" or 'August 1'. It refers to the anniversary of the Nanchang Uprising, considered to be the founding date of the People's Liberation Army. The name of 'Bayi' is 'copyrighted' by the PLA which is alone entitled to use it for important militarily projects/bases. The town of Bayi was established soon after the invasion of Tibet by the 18th Army (part of the Second Field Army based in Sichuan) in the early 1950s. In other words, civilian infrastructure projects such as roads, airports and railways should be designed to also serve war-time needs (with India, in this particular case). To speak about 'tourist hub' while ignoring the other aspects is misleading. Chinese plans to build a major tourism project and national park in a Tibetan county have dealt a blow to hydropower lobby groups who have proposed the construction of massive dam on the Brahmaputra's 'Great Bend', where the river begins its course towards India. The Chinese government announced on Saturday it had earmarked 400 million yuan ($63.5 million) to develop tourism in Nyingchi prefecture in south-eastern Tibet. 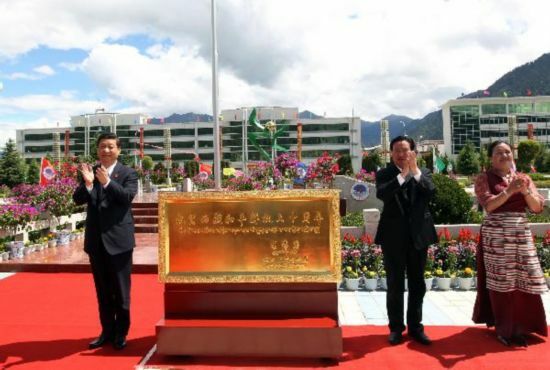 The plans include an ambitious proposal to raise two billion yuan ($317.5 million) to build an "international tourism town" in the border prefecture. The "golden tourism" project in Nyingchi follows the opening of Tibet's first national park in the same county in December in the Grand Canyon of the Yarlung Zangbo river, as the Brahmaputra is known in Tibet. The plans appear to signal the government's moves to develop the region as a tourism hub, amid rising pressure from hydropower groups to tap the enormous potential of the canyon and the 'Great Bend', where the river spectacularly falls over 1,000 metres. A number of hydropower lobby groups have called on the central government to give the green light for as many as 28 proposed dams on the Yarlung Zangbo. China has, so far, only embarked on one hydropower project, a run-of-the-river dam at Zangmu on the river's middle reaches which officials say will not impact downstream flows. Of particular concern to Indian officials was a proposal by Sinohydro, an influential state-owned hydropower company, to build a massive 38-gigawatt project at Motuo near the ï¿½Great Bend', a dam that would surpass even the Three Gorges project in scale. Environmental groups have raised concerns about the plan's impact on both the sensitive ecosystem of the region and on downstream flows. Wang Songping, deputy chief of Tibet's regional tourism bureau, was quoted as saying by state media that the national park at the Yarlung Zangbo Grand Canyon would be run by a committee "responsible for environmental protection", and would "follow an internationally-accepted practice in its management of tourism resources and minimise harm to the plateau ecology." The park stretches across several counties in Nyingchi and Qamdo prefectures. The plan for the park has disappointed hydropower groups pushing for the projects. Zhang Boting, deputy secretary-general of the Chinese Society of Hydropower Engineers, told The Hindu in an interview last year that a dam on the ï¿½Great Bend' could save up to 100 million tonnes of coal. But he did acknowledge there were technical barriers to putting in equipment, with the river falling by over 1,000 metres over steep gorges. India and China will this month discuss the issue of trans-border rivers in a working group meeting. Chinese Premier Wen Jiabao told Prime Minister Manmohan Singh during talks last week on the sidelines of the Rio+20 summit that China was willing to strengthen communication with India on the issue, and would share hydrological data. Chinese officials have in talks sought to address Indian concerns over long-discussed proposals to divert the Brahmaputra's waters, under the western route of the massive south-to-north water diversion project. Work on the central and middle routes, which divert water from the Yangtse river to the arid north, is already in progress. Chinese officials said on June 19, during a working conference on the project, that "construction of the final west route, which is hampered by difficulties of crossing the 3,000-5,000 metre-high Qinghai-Tibet Plateau, is not yet scheduled to begin." The Nyingchi tourism project, officials said, also will include 22 "model villages" built over three years at the cost of 100 million yuan ($15.8 million), where residents will provide family hotel services for tourists. Indian officials rejected media reports which claimed the tourism project in the border prefecture would have bearing on the long-running boundary talks, pointing out that the relevant region was not part of the dispute and was a region where India did not hold any territorial claims. News that China is planning a tourist hub, just north of the Line of Actual Control in Arunachal Pradesh, has flashed in the Indian media. According to an Indian national newspaper: “China is building a ‘golden’ tourist complex in Nyingchi prefecture in Tibet, close to the disputed areas on the India-China border”. In fact, the ‘hub’ already exists with even a 5-star hotel, but the announcement had perhaps to do with the meeting between Prime Minister Manmohan Singh and Chinese Premier Wen Jiabao on the sidelines of the Rio+20 summit in Brazil. Just a look at GoogleEarth, will show you the amazing developments in the Nyingchi area; regrettably, it is not merely the base camp for tourists to visit the Yarlung Tsangpo gorges, it is also Chendu Military Region’s most strategic ‘military hub’. 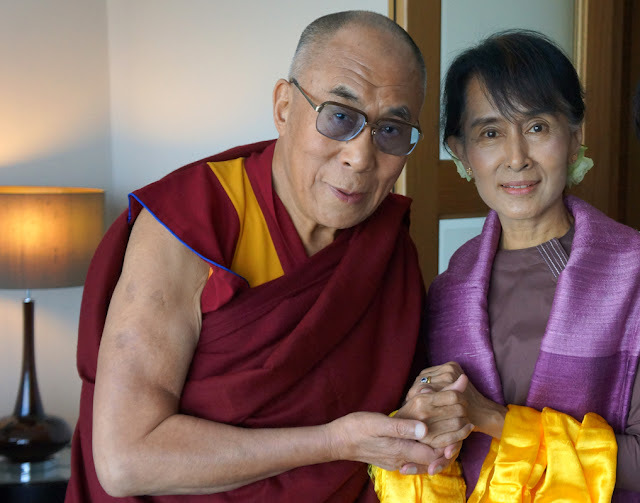 Another news item should have attracted the Indian media’s attention more: the encounter in London between the two Buddhist Nobel Peace Prize laureates, the Dalai Lama and Aung San Suu Kyi, the leader of the Burmese opposition. Apart from the fact that both these exceptional beings have greatly suffered from totalitarian regimes, each in its own way, the two world icons have something else in common, their love for a ‘spiritual hub’, just south of the McMahon Line. Let us recall a few important moments in Suu Kyi’s life. In 1964, she went to Oxford where she studied for three years to earn a BA in philosophy, politics and economics. Later she got her first work experience as an assistant secretary in the United Nations Secretariat. In 1972, her life took another turn when she met a young and brilliant British scholar, Dr. Michael Aris, whose expertise was the Tibetan Buddhism. Michael’s father was a Tibetan scholar too, so was Michael’s twin brother, Antony. Soon after Suu Kyi and Michael married in London, they moved to Bhutan, where he worked on Pemalingpa, the famous 15th century yogi and siddha. In the early 1970’s, Aris added another topic to his study: the ‘lives’ of Tsangyang Gyatso (the Precious Ocean of Pure Melody), the Sixth Dalai Lama, born in 1643 in Monyul (today’s Tawang district of Arunachal). Though Tsangyang Gyatso’s official biography said that he passed away in 1706, some texts said that he survived and roamed around Mongolia and the Gobi desert and had the most extraordinary adventures. Micheal Aris researched the ‘secret’ life of the Dalai Lama. Michael Aris studied both lives of the Dalai Lama. Speaking Tibetan perfectly, Michael (accompanied by his wife) traveled to Urgyeling, at the outskirts of Tawang where the Dalai Lama took birth and to Berkhar, the remote hamlet, south of Tawang where Tsangyang Gyatso’s mother lived. She herself was a descendant of Pemalingpa. The visit of the couple is still remembered in the area. Ironically (or ‘karmically’) in March 1959, Tenzin Gyatso, the present Dalai Lama entered India through the same area. These past years must have made the Burmese leader closer to the Dalai Lama. Did they discuss the ‘secret life of Tsangyang Gyatso when the two met in London? Perhaps! After traveling extensively through the Himalayas and writing on India’s age-old traditions of peace and tolerance, the couple returned to London in early 1988. And then she jumped into politics! Aung San Suu Kyi surely remembered this poem of Tsangyang Gyaltso (and thought of Michael), when she met the Dalai Lama in London. It brings blessings to the earth. It made me think: why can’t the Chinese leadership opt for the Burmese model and use the Dalai Lama as an ally and an ambassador, instead of making him an enemy or a demon? One can dream of the sea of changes this would bring in China and Tibet (and consequently in India). First and foremost, from a ‘bully boy’, China would become a ‘normal’ State, respectable and even respected. This would completely change the image of China and ‘image’ has always been important in the Chinese psyche. The Burmese model should inspire them. But before this, Beijing should stop claiming Tawang as theirs and concentrate on their hubs. A new battle is raging in the Middle Kingdom. On one side, those who would like to bring a small dose of democracy in the rigid political system, on the other those who are ready to fight till the end to keep the statu quo, the predominance of the Communist Party in all spheres of life, including the Army. The present debate is how to get rid of corruption. 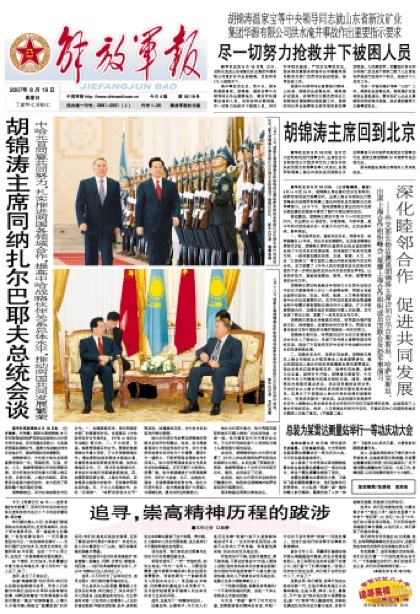 The article of the Chinascope points to the ideological gap between the two sides. The interesting aspect that each of the point of view expresses itself through a 'official' publication. Does it mean that the Censure is not able anymore to keep the control on views oppose to the Party's line? Another Central Party School publication, the Study Times, more directly criticized Zhou Yongkang—now believed to be one of Bo’s supporters. The article “Who Will Manage Social Management” (shehui guanli shei lai guan) critiqued the Political-Legal Committee system, which Zhou heads, for having contradictions between its actions and its policies, suggesting its power should be diffused. The contradictions stemmed from the Political-Legal Committee ostensibly trying to claim authority over spheres already governed by other CCP and state organs, confusing the situation (Study Times, June 18). The debate is very important because at the end will emerge the new China. Will it continue as a close system or take the Burmese Path. It is crucial for China, but also for the so-called minorities (Tibetans, Uygyurs, etc.) as well as China's neighbours. This is related to the fact that China’s official political ethic of “serving the people” is deeply rooted in the social consciousness. The reality, however, is that the market economy impedes its implementation. Many officials just go through the motions or even betray the principle. Because China is very much part of the modern world, the Chinese have seen the high standards in the developed countries. This has upset them and they can’t get over it. Corruption cannot be “fixed completely” in any country. The key is to control it to a level the public can accept. However, it will be very hard for China to reach this point. Singapore and Hong Kong adopted the approach of paying a high salary to officials to keep them upright. Many elected officials in the U.S. are wealthy. Once they become officials, they just need to build up a good reputation and develop a network. Once they leave office, they can use other means to convert this into cash. But this tactic is impossible in China. 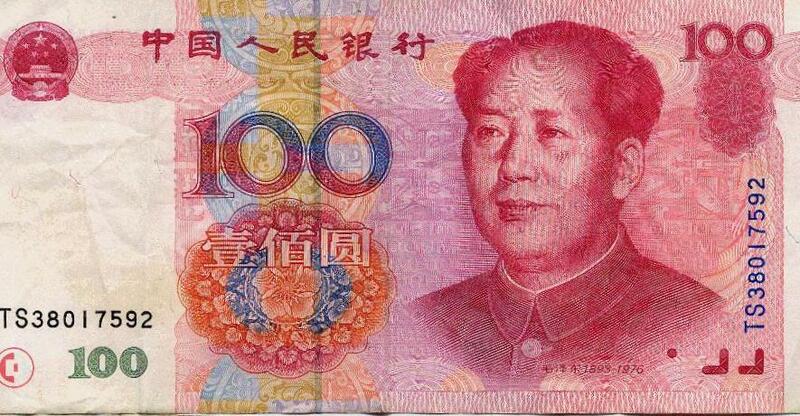 In China, people will not accept a large scale increase in officials’ salaries. China’s system also does not allow officials to use their connections to make money after they leave office. Having wealthy people hold public office makes people feel China has “changed.” (Editor’s note: The Chinese Communist Party (CCP) used to represent the poor.) Thus, Chinese officials’ salaries remain at a low level. Some local officials rely on “hidden rules” to obtain benefits. Now the entire society in China follows certain “hidden rules.” Even public welfare professionals such as doctors and teachers follow these “hidden rules.” The income that many people receive on record is not high, but they have “grey income” (income that is on the border between legal and illegal). The boundary for these “hidden rules” is not clearly defined. That is one of the reasons why there are now so many corruption cases and in some cases whole groups are involved in corruption. There is a saying that “The law cannot be enforced when everyone is an offender.” Once an official believes this saying and thinks, “Others do the same thing that I do,” then he is in a dangerous position. People should strengthen their monitoring (of the officials) to fight corruption. The public should also understand the objective reality that China cannot completely suppress corruption at the present time. That way the nation as a whole will not be unduly upset. Having said this does not mean that we think fighting corruption is unimportant or that the issue should be deferred. Quite the contrary; we think that fighting corruption should be the number one issue that gets resolved through China’s political reform. It is also a goal shared by the entire nation. Stripping away the word games that sugar-coat its viewpoint, the essence of the article is the startling notion to “tolerate corruption”: “Corruption cannot be completely fixed, so the public should tolerate a certain-level of corruption. In reality people must face a certain amount of corruption.” This illegal, nonsensical notion goes along with the notion that “corruption is the lubricant for economic development.” It is used simply to justify the rationality and legitimacy of the existence of corruption. Is it true? If the people truly took ownership (of the country), who would tolerate the existence of corruption? The commentary continued, “China might be the most outstanding Asian country with people having a ‘feeling of pain about corruption.’” After this statement, one might expect the author to then extend his criticism to the abuse of power and to the lack of restrictions on power. However, the author reached an incredible conclusion: “This is related to the fact that China’s official political ethics of ‘serving the people’ is deeply rooted in China’s social consciousness.” Don’t be surprised. Actually this conclusion is in sync with the main theme of the article. This “breathtaking jump” in logic is what it says: China is not the worst country in terms of corruption, but just the most outstanding country with worst “feelings of pain about corruption.” Why is it so painful? It is not because corruption is so bad, but because the official political ethic of “serving the people” gives the public an unrealistic expectation about officials. Since the reality is very different from the propaganda, people feel pain. Following this logic, one can easily reach the conclusion that people find a level of corruption acceptable. This is because, facing the most outstanding pain about corruption, the article’s prescription is not to use the law to restrict power and use law enforcement to put the powerful in prison, but rather a self-deceptive anesthetic: reducing the unrealistic expectation placed on officials’ morality. If we can reduce our expectations and tolerate a certain level of corruption, then we apply the lowest standards to ourselves so nothing bothers us any more. We can then psychologically accept that officials can have an appropriate amount of corruption. When facing the corruption, we won’t feel so much pain any more; we can be at ease. How ridiculous! If those who are fighting corruption truly accept this absurd theory, instead of spending efforts to oppose corruption and taking a zero-tolerance stand to strictly control and punish corruption, just letting the public lower their psychological expectations and accept corruption in order for all parties to attain happiness, then our endeavor to fight corruption is moving into very dangerous territory. Such an absurd view does not truly show caring for the officials or thinking about this nation’s future; it results in harm to the country. Even under the current mindset of “zero-tolerance,” corruption has become quite rampant. Now if we go with the theory that “corruption should be tolerated,” with this theoretical support and excuse, how rampant will corruption be in China? Is it because the official line of “serving the people” has created an unrealistic expectation for the public, which then causes the public’s painful feeling about corruption? Of course not. “Serving the people” is not a standard indigenous to China. This is the responsibility of public servants in every country. Which country’s public servants do not need to serve their people? The only difference is how they describe it. Some may say “serving public affairs,” “serving the public welfare,” etc. This is a public servant’s promise and a universal standard. The distress about corruption is coming from the corruption itself. To get rid of the painful feeling, one should work on fighting corruption systematically and use a system that controls power. We cannot compromise on corruption. Any naïve thought of controlling corruption to the level that the people find acceptable, which, in essence, means sacrificing a certain amount of public interest in exchange for political decency or using “tolerating a small amount of corruption” to get officials “not to engage in a lot of corruption,” is pure, idiotic nonsense. The issue of corruption can’t be resolved by “development.” Just as economic development can’t bring overall improvements to social civilization and moral standards, economic development can’t resolve the corruption problem. Corruption is not the lubricant for economic development. For the same reason, development will not result in an end to corruption. Without a change in the system and democracy, there is no cure for corruption. Beijing political commentator Chen Jieren praised China Youth Daily for publishing an article to rebut Huanqiu Times. He said that, for the two media to express their viewpoints on fighting corruption shows, at the central level, the differences in their value systems. Vice Professor Li Lifeng from the School of Journalism and Communication at the Chinese University of Hong Kong said that the debate among the top level state media indicates that the dispute among China’s top leaders is so great that even the Party’s Central Propaganda Department can no longer cover it up. According to Li, these debates within the media reflect the differences among the leaders. It does not mean that the situation regarding freedom of speech in China is improving, nor does it mean that the Central Propaganda Committee cannot control the Chinese media anymore. The Negotiations: where do we go from here? During his recent visit to UK, the Dalai Lama declared that resuming talks with China about Tibet's future was futile, unless Beijing adopted a 'realistic' stance. He added that it was useless to try to convince Beijing he was not seeking full independence. The Tibetan leader also said that a shift towards democracy and better human rights in China was inevitable as the Chinese people 'really want change'. I am posting here the last chapter of my book, The Negotiations that never were. It shows the futility to 'negotiate' in the present circumstances. For an external observer, it appears that despite numerous ‘rounds of talks’ during the past thirty years (since Gyalo Thondup met with Chinese officials in Hong Kong in 1978), no serious progress has been made on the Tibet issue. During the visit of the delegation led by Juchen Thubten Namgyal to Beijing in 1982, the Chinese officials had given the parameters of the ‘talks’. First, no question of discussing the status of Tibet which had been settled once and for all in 1951 when Tibetan delegates signed (‘Under duress’ according to the Tibetans ) the 17-Point Agreement for the Peaceful Liberation of Tibet. Then in the 1980’s, Beijing was ready to discuss the status of the Dalai Lama and his return to the Motherland (in 1985), but nothing else. Further, the Chinese Government were never prepared to grant to Tibet a special status (such as the ‘One country, Two systems’ scheme for Hong Kong) or even something like the status offered to Taiwan in the 1980’s (i.e. Nine-point Proposal for Taiwan). For Beijing, the administrative divisions of traditional Tibet were permanent, there was no question of discussing them again. For the Dalai Lama, his Strasbourg Proposal was a continuation of the first contacts between Gyalo Thondup and the Chinese officials at the end of the 1970’s. As “every except independence could be discussed”, the logical next step for the Tibetan leader was to renounce independence in exchange for a ‘genuine’ regional autonomy. Self-determination or full-fledged independence had been rejected from the start by the Chinese leadership. This greatly limited the scope for the Dalai Lama to move and find a ‘middle-path’ solution. A majority of the Tibetans in exile (even today) do not fully realize all the implications of the Middle Path approach. For example, they would be thereafter be Chinese nationals with Chinese passports. It is only over the years, that the younger generation has begun to understand that their cherished dream for ‘Rangzem’ (or independence) was fading away. However, many believe that there is no harm to continue to dream, that the most improbable dreams sometimes come true, (i.e the Berlin Wall). In 2006, after the 6th round of talks with Beijing, Lodi Gyari, the Dalai Lama’s Special Envoy stated that though discussions “were candid and frank”, both sides had expressed in strong terms their divergent positions and views on a number of issues. Two years later and after the Chinese show of strength during the Summer Olympic Games and with an exacerbated nationalism reaching new heights all over China, the situation appeared to be even more critical. The fact that the Chinese position had not moved an inch during the past three decades is rather disturbing for the Tibetans. It should also be so for India who is trying to sort out its border issue with China. The same delay tactics (or moving the posts) are used in both cases. Whether for the Sino-Indian border or Tibet, Beijing is quite happy with the status quo and can continue this way for decades, if not centuries, if the present regime survives that long. This is the reason why, when addressing a large audience at the annual Foundation Day of the Tibetan Children Village in Dharamsala, the Dalai Lama declared that his faith in the Chinese government was ‘thinning’ and that he could not anymore hold the responsibility of the negotiations with Beijing. This was the background of his decision to call for the special emergency meeting to decide the future course of action for the Tibetan political struggle. An apparently insignificant sign demonstrates the degree of contempt that the Chinese officials have for the Tibetans; they won’t even allow the delegation to have a Chinese-speaking member. As a result, none of the four or five member Tibetan team speaks Chinese. Mr Tsegyam, a Tibetan official fluent in Chinese was ‘permitted’ to attend the 4th round of talks in Bern in June 2005, but since then the Chinese have arbitrarily refused his participation on one pretext or another (each time a different one). The shy (or compassionate) Tibetans had decided not to make it a public issue, though it shows the way the Chinese Hans have always treated their vassals. In Mao’s time, this attitude was known as the Great Han Chauvisnism. The Tibetans always seem to be out in the position of beggars holding out their bowls for meager alms which are refused anyway. What is more shocking is the constant stream of insults poured out by Beijing against the ‘Dalai and his clique’. Qin Yizhi, Lhasa party secretary stated: “Encouraged by the Olympic spirit of faster, higher, stronger, Lhasa people of all nationalities will… resolutely smash the Dalai clique's scheme to destabilise Tibet” Indeed a great understanding of the Spirit of the Games! It appears that the more the Tibetans go out of their way to appease the Chinese, the more Beijing rebuffs them. Another issue is the low hierarchical level of the dialogue. In 1954-55, when the Dalai Lama first visited Beijing, he used to have regular formal and informal meetings with Mao Zedong and others senior Communist leaders. When he arrived in the Chinese capital, he was received with great pomp at the railway station by the Chinese Premier Zhou Enlai, Deng Xiaoping and other senior dignitaries. Later in 1957, when the Tibetan leader came to India for the 2,500th anniversary of the Buddha Jayanti, he met the Chinese Premier several times and had in-depth discussions about Tibet and the welfare of his people. At the end of the 70’s and the 80’s, Gyalo Thondup, the Dalai Lama’s elder brother met Deng Xiaoping, then China’s leader maximo to discuss Tibetan affairs. He also met Hu Yaobang in 1981. Lodi Gyari’s interlocutors are not senior Party leaders (Zhu Weiqun is a Vice-Minister which is equivalent to a Secretary rank official in India) with no real power of decision. On the positive side, the Tibetan delegates say that today they are able to speak frankly to their Chinese counterparts who are ready to listen to them. It is certainly a plus, though as we have seen earlier in this research, the first Tibetans envoys (in 1982 and 1984) conveyed in no uncertain terms their expectations, especially for a unified Tibet. Why does the Tibetan Government-in-Exile (TGIE) ask for autonomy for Tibet from Communist China that would give Tibetans considerably less freedom than those of us in exile currently enjoy? Presently, we are free to worship, voice our opinion on political and national issues, travel, practice and promote our religion, culture and traditions, and free to even vote for our Parliament-in-Exile. Why would the TGIE seek an agreement that denies such rights to us? …So why do we want to get into an official autonomous situation which will be a thousand times worse than the present situation? It is a fact that it is difficult for the younger generation of Tibetans to dream about a ‘genuine autonomy’ under a totalitarian People’s Republic. ‘Freedom’ or ‘Rangzem’ (Independence) is more exciting and idealistic dream. Why can’t the Dalai Lama meet President Hu? The tragedy is that when there are different views or currents of thought in the Communist Party of China and it is usually the most conservative one which prevails. It also holds true for the negotiations between India and China on the boundary. The latter case is compounded by the fact that India often has to go to polls and leaders are unable to take a bolder stand. For example, it is said that during the Third Round of talks on the boundary in October 1983, the officials were close to an acceptable solution. Unfortunately Indira Gandhi refused to take the jump due to the elections coming a year later. In the Tibetan case, one of the solutions to come out of the impasse would be to have a meeting between the Dalai Lama and President Hu or Premier Wen Jiabao. As mentioned earlier, Mao Zedong, the Great Helmsman himself used to meet the Dalai Lama in his guest house in 1954, when the Tibetan leader spent several months in Beijing. They often discussed different issues threadbare, ranging from the benefits of Marxism to the future of Tibet. It would certainly help to smooth out the hurdles if the Dalai Lama himself could meet senior Party leaders. It appears to be the only way to come out of the stalemate. For Beijing, the Tibetan issue has sullied the image of the People’s Republic for more than 50 years. The time has come for Beijing and Dharamsala to find a durable solution agreeable to all. The Dalai Lama is a good man, a sincere leader. Beijing could not get a better interlocutor to bring about a radical change in the relations between Hans and Tibetans. As we have seen in the previous chapters, several intellectual, scholars and thinkers in China concur with this view. In fact, one could go a step further: the Dalai Lama is today the only leader who can unite China. He is the only person who can convince the Tibetans to work for the harmonious society promoted by President Hu. This in turn, could be an example for other nationalities. As mentioned earlier, in April 1986, the Dalai Lama wrote a memorandum to Rajiv Gandhi. He made an interesting historic point: India had taken a certain stand vis-à-vis Tibet and adopted a policy, but the situation had now changed. Was it not time to readjust this policy to the present circumstances? The Dalai Lama wrote: “When the Government of India officially recognized Tibet as being a part of China, the Government must have done so because of the reality of the situation then prevailing. For example, there was the 17-Point Agreement between Tibet and China. During my several meetings with Pandit Jawaharlal Nehru in 1956, he stressed the need to execute and implement the terms of this Agreement with China. He advised me to return to Tibet and said that it would be better to deal with the Chinese directly from within Tibet on basis of the Agreement. Therefore, it is clear that at the time the Government of India recognized Tibet as being a part of China, its assumption or understanding was that Tibet, though nominally a part of China, would have minimal Chinese interference and military presence. By signing the 17-Point Agreement with the Tibetan Government, the Chinese recognized the existence of a separate government, although they referred to it as the local government of Tibet. In clause 4 of the Agreement, it is stated, the central authorities will not alter the existing political system in Tibet. Nehru had asked the Dalai Lama to work with the Chinese on the base of the 17-Point Agreement. By violating the Agreement and changing the political set up on the Tibetan plateau, the conditions under which Nehru decided his Tibet Policy have changed. The Dalai Lama elucidated further: “Moreover, the treaty which the Government of India signed with China on Tibet in 1954 lapsed in 1962. Since then the treaty has not been renewed. Therefore, now that the conditions under which the Government of India recognized Tibet as being a part of China have completely changed and are non-existent, I feel it would be appropriate for the Government of India to adopt a new policy in accordance with the changed circumstances. This was written at a time when tensions were high between Delhi and Beijing. If one thinks at a long-term — and nobody better than the Chinese are able to think decades ahead — if the Tibetan issue is satisfactorily solved, it will be good for China, good for India and for Asia (and of course for the Tibetans themselves). Tensions will be reduced, energies thus liberated could be used for development and reducing poverty in the two giant nations. All this still seems a dream, as the will to act decisively does not yet exist in the present fractured Indian political context. But only bold and audacious leaders could play a more important role in the world concert. How long will it take to materialize? It is anybody’s guess. This is why Tibet is not just an issue between the Dalai Lama and Beijing. Like global warming, the financial crisis, terrorism, it is a global issue. Tibet has something special to bring to the planet, something which will be more and more needed to solve apparently unsolvable problems. However it is certain that a solution has to emerge from drastic changes in China. History is patient, the time will come. The Dalai Lama wrote with his finger "The Lama knows"
I wrote this article in 1996. After the recent encounter between the Dalai Lama and Aung San Suu Kyi, I thought it would be interesting to republish it. The Burmese leader and her husband visited all these places in Monyul (today Tawang district). It may seem incredible, but this song was written by a Dalai Lama. Tsangyang Gyaltso (the Precious Ocean of Pure Melody), the Sixth Dalai Lama. He took birth in Monyul, the land of Mon in 1643. The Dalai Lama lived his first years in a small hamlet called Urgyeling. Near the temple of Urgyeling there is a tall and magnificent tree. Many legends revolve around this tree (a sandal tree? ): it seems that this tree was planted by the Sixth Dalai Lama before being taken away to his destiny in Lhasa. He made a prophesy saying that when the 3 main branches would become equal he would come back to Tawang. The local priest said that the 3 branches reached the same size in 1959, a few months before the Dalai Lama, fleeing Tibet after the Chinese invasion, passed through Tawang and ‘visited again’ Urgyeling. When the delegation reached Urgyeling, the Regent Desi Sangyay Gyaltso had still not revealed that the Lama-King was no more fearing that intrigues would start as soon as the news of his passing away would be known. He was also very keen to finish the task assigned to him by the Fifth Dalai Lama: to complete the Potala Palace in Lhasa. But a series of divination and special pujas had given the Regent the certitude that the reincarnation of the Fifth Dalai Lama was born in South of Tibet, in Monyul. The care-taker told us that when he was very young, Tsewang Lhamo, the mother of the future Dalai Lama once asked her son to get a piece of wood and fix it in the soil to tie a cow. Instead of planting the stick in the soil, the young Tsangyang made a hole with his finger in the stone and stuck the stick inside it. It is one of the many miracles he is said to have performed. The stone was still on the altar. His exquisite poetry is known today by all Tibetans and Monpas and is still sang during long evenings around a fire after a few cups of chang. Academicians will fight to decide if he was a great Tantric master or only an ordinary man, if his poetry contains an esoteric teaching written in a secret language or are only the verses of a libertine. He may have been both at the same time, maybe he had come a couple of centuries too early. He loved freedom and could not bear the prison that seems to have been life in the Potala, he was suffocating in the darks rooms housing thousands of gods and wrathful demons. He preferred the company of his friends. How could he have not felt oppressed in the midst of power struggles and intrigues between aristocrats in Tibetan government in Lhasa, the Mongol chieftains and the Emperor of China? Was he remembering the days when he was a kid in Urgyeling and used to escape to roam around the barley fields and the rhododendron bushes? But his legend continued after his presumed death. The "Secret Biography" of his "hidden life" tell us that he escaped the Mongols who had deposed him, wanted to kill him and he secretly left for Eastern Tibet and Inner Mongolia where he first became a wandering monk and then settled in Alashan which is today in Inner Mongolia. He passed away in 1746 , forty years after his official death. He built a large number of monasteries and had thousand of disciples. Only a very few knew who he really was. His last poem before his presumed death is known by all. It announced his return as the Seventh Dalai Lama. Two years later a young boy Kalsang Gyaltso was born in Lithang (Eastern Tibet) who would soon be recognised as the VIIth Dalai Lama. "Lama Geno" could have said Tsangyang and the story goes on. The Thirteenth Dalai Lama once told Sir Charles Bell, the British Political Officer in Lhasa: "He (the Sixth) did not observe even the rules of a fully ordained monk. he drank wine habitually. And he used to have his body in several place at the same time, e.g. in Lhasa, in Kongpo (a province seven day's journey east of Lhasa), and elsewhere. Even the place whence he retired to the Honourable Field (i.e. died) is uncertain; one tomb of his is in Alashan in Mongolian where there is another in Drepung monastery. 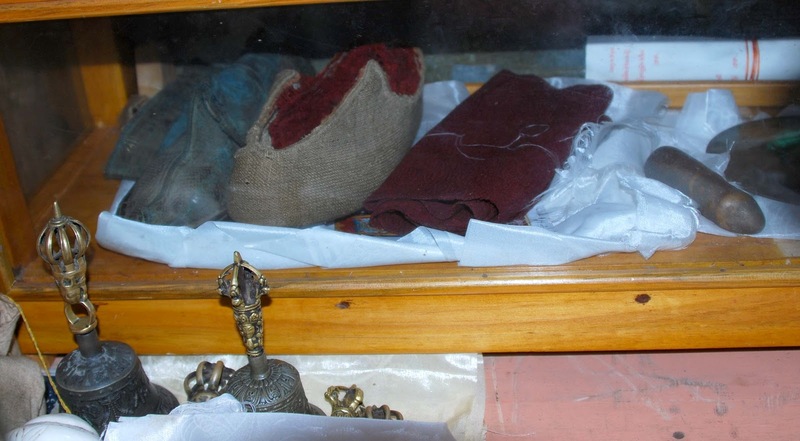 One if his bodies used to appear in the crowd in the Reception Hall of the Seventh Dalai Lama. One is said to appear also at my receptions, But I am unable to say whether this is true or not". Tsangyang Gyalsto has always been the darling of the Tibetan people. For them though remaining a god, his compassion was so great that he condescended to have feelings like a human beings, he even acted like a human being, while still remaining Avalokiteshvara incarnated, the boddhisatva of compassion, the Precious Protector of the Land of Snow. Three beautiful images always come to my mind while thinking of Tsagyang Gyaltso, the first of a boy escaping from Urgyenling and running in the green fields of Monyul, the second of an adolescent tall and handsome (like the Monpas can be) holding a bow in one hand, wearing a sky blue satin robe and a golden hearing; he was passing in front of some high Tibetan dignitaries and blessing them in a hurry with a hand full of rings and the final image of a man at the end of his life, dancing and leaving his footsteps in the snow while trying to show to a group of close disciples the complicated steps of the most esoteric religious dance. These are three images of a same person who was so many persons at the same time, a fascinating and disconcerting man who was sometimes more than a man and did not want to be a god. A man loved by his people though so many times misunderstood and who loved freedom above all. Aung San Suu Kyi had a most fascinating life. In 1964, she went to Oxford where she studied for three years to earn a BA in philosophy, politics and economics. Later she got her first work experience as an assistant secretary in the United Nations Secretariat. In 1972, her life took another turn when she met a young and brilliant British scholar, Dr. Michael Aris, whose expertise was the Tibetan Buddhist. Suu Kyi asked her future husband for a 'favour': "I only ask one thing, that, should my people need me, you would help me to do my duty by them". 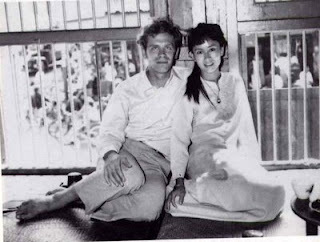 After Suu Kyi and Michael were married in London, they moved to Bhutan, where he worked on Pemalingpa, the famous 15th century yogi and siddha. Her life as a mother of two sons and a scholar continued smoothly during the following years. 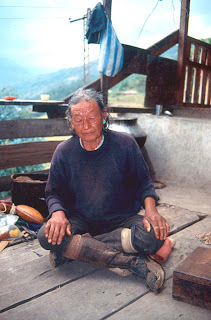 It is during the early 1970's that Aris did most of field researches in Bhutan and Arunachal Pradesh (Tawang). His wife often accompanied him. 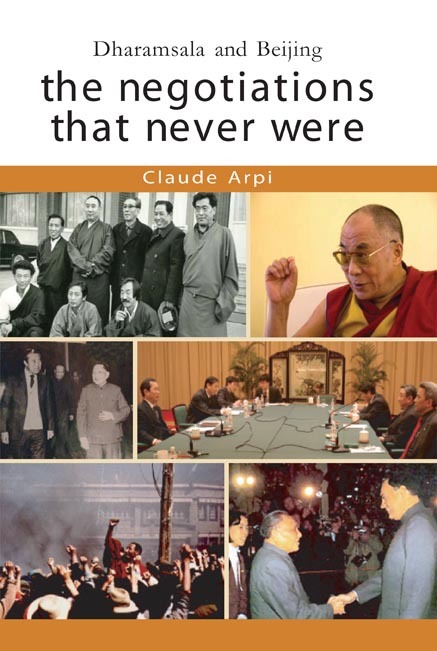 By that time, Aris had added another topic to his study: the 'lives' of Tsangyang Gyatso, the Sixth Dalai Lama, born in Urgyeling near Tawang. Michael Aris studied both lives of the Dalai Lama. Speaking perfectly Tibetan, he knew well the area where the Dalai Lama was born (in March 1959, Tenzin Gyatso, the present Dalai Lama entered India through the same area). In a previous posting, I have described this region where Michael and Suu Kyi traveled. They went to Urgyeling where the Dalai Lama took birth and to Berkhar, the remote hamlet, south of Tawang where Tsangyang Gyatso' mother lived. She herself was a descendant of Pemalingpa. The visit of the couple is still remembered in the area. These years made the Burmese leader very close to the Dalai Lama. It is probably one of the reasons why they met two days ago in London. Did they discuss the 'secret life of Tsangyang Gyatso? In the 1980's, the Aris family came back in India where for two years, Michael Aris conducted his research at the Indian Institute of Advanced Studies in Simla. After traveling extensively through the Himalayas and writing on India's age-old traditions of peace and tolerance, the couple returned to London in early 1988. And then she jumped into politics! This is not the place to explain in detail what happened to the Monyul [Tawang] region later in history, but a very brief summary helps to put the Sixth Dalai Lama in his full context. The "Tibetan government appears to have been quick to realize that 'the area had great strategic and economic importance. Not only did it provide the only direct corridor to the Indian plains lying completely within Tibetan territory, but the whole region was extraordinarily rich in natural products unobtainable on the Tibetan plateau. It formed a natural staircase of different ecological levels stretching from the plains of Assam through dense subtropical forests in the foothills to the Alpine regions above and the high plateau beyond. Apart from the trans-Himalayan trade though the corridor which the government could carefully control to its advantage, the whole area was easily exploited for those natural products which lay in such heavy demand in Tibet. These included loads of grain, particularly rice, collected its taxation twice a year; rare medicinal herbs for the medical college in Lhasa; bamboo pens and paper made from the bark of the daphne tree for the offices of the Tibetan government; the skins of wild animals hunted by the Aka, Miji and other tribals who formed part of the district; sheep wool from some areas; butter from the pastoralists of the north; and a variety of fruit for certain privileged government officers. Whole orange trees complete with the ripened fruit were delivered every year to the Dalai Lama himself. It is not known whether this last custom began in the lifetime of the Sixth but it is well remembered today. Apart from odd skirmishes with the Bhutanese to the west and the tribals to the east, little seems to have happened in the region until the British arrived on the scene in the late nineteenth century. Prior to that the only event of some international significance occurred in 1714 when one column of Lajang Khan's 1714 campaign against Bhutan invaded from the direction of Tawang.30 As will be seen, the khan had deposed the Sixth Dalai Lama seven years earlier and I believe the destruction of the Dalai Lama's restored and enlarged family temple at Ugyenling [or Urgyeling] occurred during this campaign as an attempt to obliterate his memory. In local legend the destruction is blamed on a Mongolian called Sokpo Jomkhar who, if my interpretation is correct, would have been Lajang's commanding general in the area. The temple built later on the original site and still standing is a very modest affair. It is in the hands of the family's present descendants, though the details of their descent are not known. As it now stands, the temple was perhaps reconstructed during the reign of the Seventh Dalai Lama. It was he who was responsible for ennobling the family of the Sixth's mother at Berkhar. They were granted the title of Depa Kushang (roughly "Ruler Uncle". ), and confirmed in their estates. At the same time they were exempted from the payment of taxes and the rendering of labour service. All this can be assumed to have happened after the posthumous reinstatement of the Sixth as the true incarnation of his predecessor, as we shall see. The rights which the Tibetan government won over certain tracts in the Assamese plain at the foot of the Monyul corridor, or which were perhaps inherited from the local rulers whom the Tibetan government displaced in Monyul, were ceded to the British in 1844 in return for an annual subsidy. During the Simla Convention of 1914, signed by Great Britain and Tibet (and initialled but never ratified by the Chinese), the entire region was made over to British India. However, the transfer was never fully implemented on the ground and when India won its independence in August 1947 it found part of what it regarded as its own territory still under the control of Tibetan officials. After Communist China had fully annexed let, it was soon realized that independent India had by then consolidated its claim on an area of Tibet which China had traditionally regarded as its own. And so the seeds of a long conflict were truly sown. 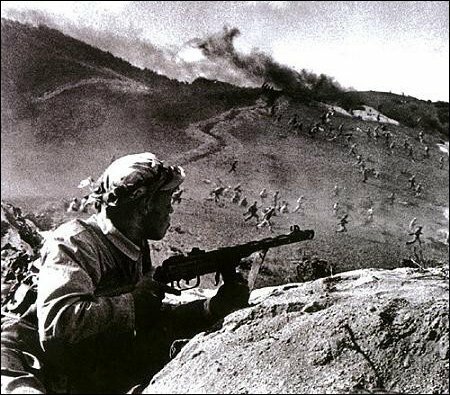 The Sino- Indian border war of 1962-3 resulted in the defeat of the Indian army in the area but left the status quo intact, with half of the Monpas continuing to live under Indian control south of the main watershed and the other half north of it, where they are classed today as one of China's smallest national minorities. Despite an uneasy truce the conflict continues to flare up from time to time. Even as these lines are written in 1987 there are renewed hostilities. That the Sixth Dalai Lama was born in the disputed area will always serve to remind the Chinese that for many centuries it lay under the control of what they persist in calling “the local government of Tibet". For the Indian government the birth of the Dalai Lama there will perhaps always be something of an embarrassment. For the old Tibet the area is, like that whole country, lost beyond hope of recovery. From the point of view of the inhabitants of the area itself, the very last of their many acts of service to the old Tibet was to provide an escape route for the Fourteenth Dalai Lama as he fled from the Chinese south to India in 1959. The route took him straight past the family temple at Ugyenling where his sixth embodiment had been born nearly three hundred years earlier. Oxford University Press has republished for the third time, the ‘bible’ on Ladakh, Janet Rizvi’s book: Ladakh, Crossroads of High Asia. What is remarkable with this book is that it covers almost all aspects of life of what Rizvi describes in the first edition (1983) as ‘a little known corner of the Buddhist world, existing in isolation in India”. In the early days after Independence, very few knew where Ladakh was located; even the Prime Minister during a public meeting in Delhi on July 1, 1952 declared: “Ladakh and Kashmir lie on the borders of Tibet and Turkey and other countries.” No comment! What makes Rizvi’s book so comprehensive is that the author dwells upon everything that is Ladakhi and she does it with love for the people and the surrounding mountains. She speaks of the life of the people, the history of a Kingdom with its Buddhist dynasties, the awesome geography of region and the rich religious heritage (though predominantly Buddhist, a tolerant Islam played an important role in Kargil district). Rizvi also touches upon the culture of the remote villages and the changing life of the Ladakhis. One often forgets that Ladakh is part and parcel of the state of Jammu and Kashmir. In 1947, the area of the state was about 222,000 sq km, out of which Ladakh occupies 86,000 sq km (unfortunately 37,000 sq km were grabbed by China in the early 1950s and 5,300 sq km were ‘offered’ by Pakistan to China in 1963). Comparatively, the Valley which often makes headlines for the wrong reasons, occupies a little more than 15,000 sq km. One of the most fascinating aspects of Rizvi’s book is that the author has closely followed the ‘evolution’ of the mountainous region over a period of 30 years (and three enlarged reprints of her book). 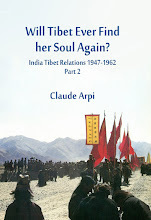 In 1983, Rizvi wrote: “I have tried to place on record some of the important facts about a part of the world which has been little studied up till now, and which has often been regarded as no more than an undifferentiated appendage of old Tibet. 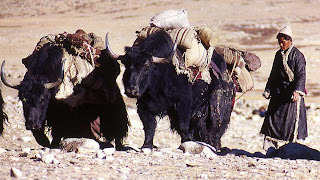 …Ladakh has its own vigorous social and cultural identity, of which the Tibetan tradition is only one component”. Her husband was then posted as an IAS officer in Leh. 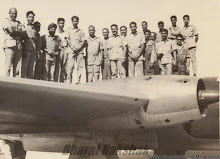 In October 1947, when ‘raiders’ from Pakistan began pouring into the Valley, looting and burning villages in their way, the leaders in Karachi used as a pretext, the 'two nations' theory, according to which the Muslim dominated areas of the subcontinent were to become part of Pakistan. But Karachi soon decided to also 'liberate' their Buddhist brothers in Ladakh. The objectives of Operation Sledge, supposed to occupy the vast Ladakh plateau, were not ideological: they were strategic and economic, the treasures of the Buddhist gompas (monasteries) were a great lure for finance-starved Pakistan (Rizvi’s book has an excellent chapter on the gompas of Ladakh, a great ‘bonus’ for the readers and a useful guide for spiritual tourists interested in this aspect of the region). In February 1948, when SP Sen, the Brigade Commander in Srinagar got wind of the fact that more than 800 tribal Pathans were ready to enter Ladakh, he was in a fix. 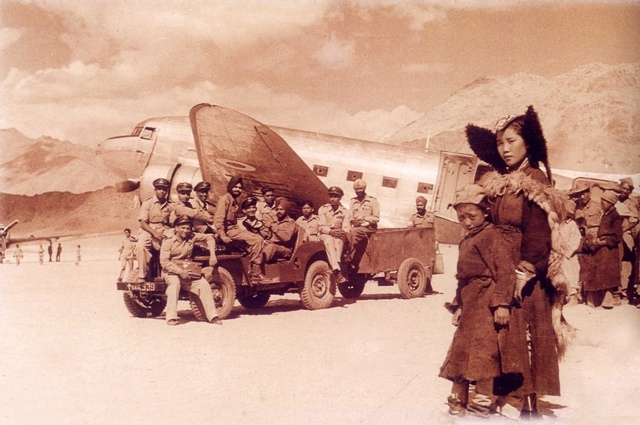 The formidable Zoji-la pass was an uncrossable barrier between the Valley and Ladakh and there was no way to airlift reinforcements to Leh. Wheels other than the prayers wheels were unknown in Ladakh. 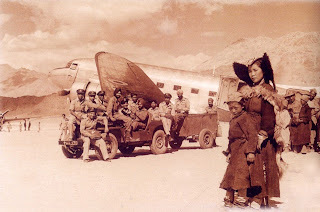 It was then that Captain Prithvi Chand, a young Buddhist officer from Lahaul, the Himalayan region beyond Manali and the Rothang Pass, offered his services; he told Sen that he was ready to cross Zoji-la with a small caravan of men and mules carrying arms and ammunitions. Though Buddhists and believers in ahimsa, these men were ready to risk their lives and fight their way through the bitterly cold weather, the altitude and the raiders to defend their co-religionists in Ladakh. 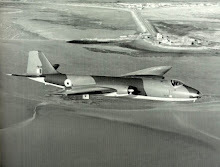 Nobody thought the mission feasible, but there was no other solution. So, without the knowledge of army headquarters — which was reluctant to permit such a risky operation — the young captain crossed the pass with about 60 volunteers and reached Leh safely to prepare a ‘surprise’ for the raiders. It was the first of a long saga of heroic acts by many of the region’s young officers who since then, have bravely defended Indian territory. One should also mention Colonel Chewwang Rinchen, who was twice awarded the Mahavir Chakra — for having stopped the advance of raiders in the Nubra Valley in June 1948 and for the bravery displayed in the Turtuk sector during the 1971 War. Rizvi’s book is divided into chapters touching enthralling issues such as geographical approach, history, culture, present day Ladakh and most interestingly, the current ‘changes’ of the society. 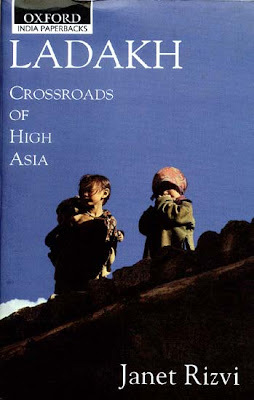 Though many scholarly books have been written on Ladakh, the Crossroads of High Asia is more accessible to the general public and more encompassing in its approach. This is the great quality of the author: she has been able to convey in simple language all the aspects of the life of this remote part of India with vivid depth. Her love for Ladakh makes the difference. The Ladakhis glowed with pride on seeing the Asoka wheel on the Indian flag; for them, it is the symbol of 'goodwill for all humanity and her concern for her cultural children’. Unfortunately, for decades India's leaders did not respond to Ladakh's appeal. In 1989, faced with Delhi's decade-long apathy, the Ladakhis had no alternative but to resort to an 'agitation’, a concept alien to Buddhism. In 1995, after many frustrating years, Ladakh was finally offered as a compromise an Autonomous Hill Development Council. Though the chairman and his Executive Councilors (ministers) have vast executive powers on paper, they still often face a frustrating situation with Srinagar which can block vital projects. One of the most fascinating chapters of Rizvi’s book is 'Hazardous Trails'. We often don’t realize enough today that Ladakh has for centuries been a ‘crossroad’ for caravans going to Kashmir, Tibet, Sinkiang and Central Asia. Interestingly the maps on the first and last pages of the book show hardly any borders. One first sees the mountains, the rivers, the contours, but the frontiers remain discreet. After all they hardly existed during centuries when man and goods used to be exchanged freely across the high natural barriers. It was when Ladakh still had decent neighbours. The tragedy of Ladakh is that due to its geographical location, it has to face two enemies — the Chinese 'Liberation Army' in the north and west and Pakistan in the east. 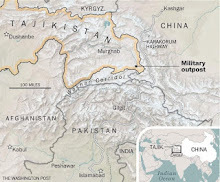 The region is also the scene of battle for the strategic Siachen glacier, which connects the old caravan route to Kashgar through the Karakoram pass. Can we dream of the 'Hazardous Trails' reopening some day? The two ‘all-weather friends’ at India’s borders (China and Pakistan) are not interested to have roads between Ladakh and Baltistan on Pakistan’s side and Western Tibet on the Chinese side, but history shows that nothing is permanent in this world, even stupidity and short-sightedness. Why not dream of a road Kargil-Skardu, another Leh-Yarkand-Kashgar, and yet another Leh-Demchok-Manasarovar? Ladakh would become the Land of the Trails again. On May 31, 2012, an article in the Chinese magazine Qiushi (a bi-monthly on political theory published by the Central Party School of the CCP) studies democracy in the developing countries. It dwells upon the "Manifestation, Cause, and Lessons from Democracy's Failure in Developing Countries". The article starts in 1970 "when many developing countries have been dragged into joining the global democratization movement." It explains: "Although democratic transformation has been going on for more than 30 years, most developing countries have gotten into trouble and experienced a democratization crisis"
It affected economic development and brought poverty in its wake. The lack of a “democratic rationality” due to the poor quality of people's education. The conclusion is that "China should learn from the countries that failed after choosing the path of democracy and find a democracy suitable to China’s national situation; develop democracy in coordination with economic development; and not have a 'shock style' democratization". Has a totalitarian opaque system brought better results to the people of China? It is a fact that more than 1,00,000 'social conflicts' are reported every year in China. Nobody denies that 'democracy' as today practiced in India, is far from perfect. Money (usually black in colour) still plays a too important role in the elections, too many candidates with shady backgrounds gets elected, but it is fact that China is today much more corrupt than most of the 'developing countries'. Regarding the lack of 'efficient' legal system, China is also far worse than any 'emerging' or 'developing' countries. Regarding corruption, the article (posted-below) of The PLA Daily admits that corruption is still No. 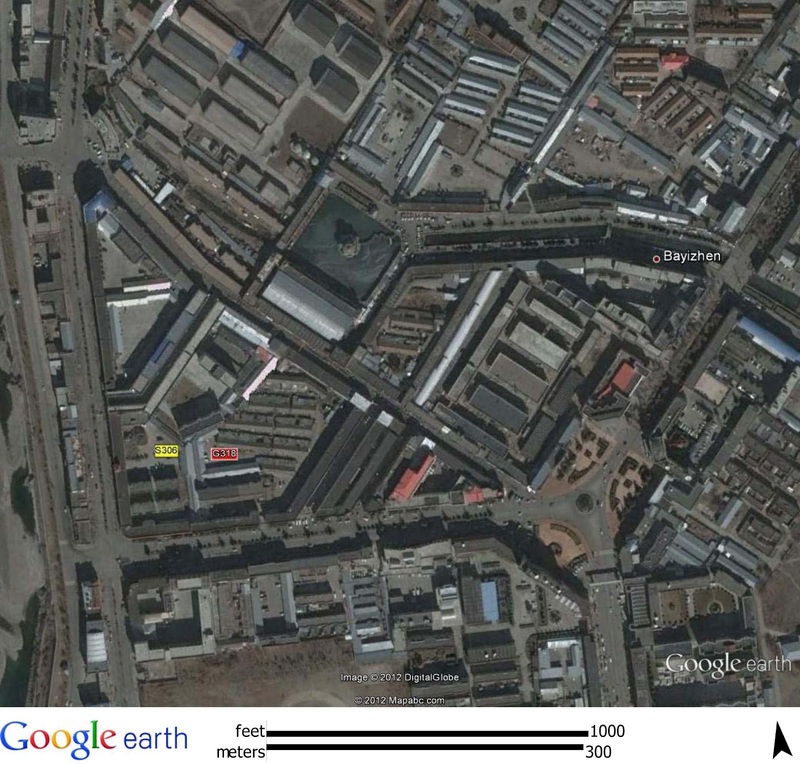 1 problem in the Chinese Army, "the biggest corrosive toxin on the army’s pure skin". With all its imperfection, democracy (with a free press and an independent judiciary) is far better than the Chinese model. Let us speak again about it in 5 years, we shall see where the Chinese model has led the Middle Kingdom. Historically, corruption has been engrained in the Communist system. Remember the caves of Yanan where the great revolutionary leaders lead by Mao Zedong settled at the end of the Long March. In the early 1940's, a famous writer Wang Shiwei, published very strong report about the party leadership accusing the leaders to live a good life even as they preached asceticism and egalitarianism. In his book Wild Lilies, Wang describes the leaders’ life, dancing at night while the common people had a very hard life and struggling against the Japanese invaders. Dr. Li, the Private Physician of Mao, who read the Wild Lilies said that there was a lot of truth in Wang’s allegations. According Dr Li the life of the Politburo’s members in Zhongnanhai was very similar. Wang was however executed a few years later(under Mao's order). 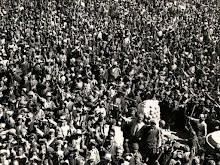 Not only the Party was already corrupt in Yanan, but this People’s Party was unable to accept any dissident note or even being told of any wrong in the early days of the Revolution. Though this revolution has been idealized by many western commentators and writers, the fact remains that only one side of the so-called revolution could be seen by the public, i.e. the official version. Whoever would venture to say or write something not directly in line with the party ideology and theory was immediately suppress (or executed like Wang). Democracy, despite its politicians is far better as long as the press and the judiciary remains independent (or at least more or less independent!). The Chinese are again upset. They have threatened to leave their Olympics training camp in Leeds, if the Dalai Lama addresses the Yorkshire International Business Convention where the Tibetan leader has been invited to speak on Business Ethics. The Foreign Ministry spokesman in Beijing did not like it at all: “We hope the British side stops making mistakes again and again, which undermine China's interests. China-UK relations have been affected by the recent meeting between the British leader and the Dalai Lama. The responsibility lies with the British side.” He was referring to the unofficial encounter between David Cameron and the Dalai Lama. At the same time, the Burmese leader Aung San Suu Kyi (also a Nobel Peace Prize Laureate) has undertaken her first foreign trip after 24 years in seclusion (most of the time under house arrest in Burma). Her main objectives were to collect her Nobel Peace Medal as well as to call for renewed foreign investment in Burma. It is interesting to compare the two examples. While the Burmese civilian-military regime agreed to let Aung San Suu Kyi leave for her European tour, the Chinese government continues to insult the Tibetan leader. 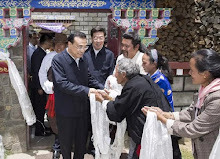 One remembers that in 2008, Zhang Qingli, then Party Chief in Tibet had exacerbated the resentment of the Tibetan population by calling the Dalai Lama “a wolf in monk's clothes, a devil with a human face” and declaring that “those who do not love the motherland are not qualified to be human beings”. More recently, China Tibet Online, a state-run Chinese website, launched another vicious attack on the Dalai Lama, accusing him of Nazi racial policies and of inciting Tibetans to immolate themselves. The Dalai Lama had explained that the current protests in Tibet were due to the Chinese repressive policies. This greatly angered the Beijing authorities. Last month, the visit to UK of Wu Bangguo, the Chairman of the Standing Committee of the National People's Congress, ranked No 2 in the Chinese State (after President Hu Jintao) was cancelled after it was confirmed that David Cameron, the British Prime Minister would meet the Tibetan leader. Fabian Hamilton, the Leeds North East MP and Chairman of the Parliamentary Group for Tibet, called this ‘bully-boy tactics’. In another incident, Xinhua, the Chinese official agency affirmed that the Jogye Order, a Buddhist sect from the Republic of Korea has broken its promise and interfered with China's internal affairs during a recent Buddhist conference. Why? The Jogye Order was organizing a Conference of the World Fellowship of Buddhists and invited Prof Samdhong Rinpoche, the former Tibetan Prime Minister and respected Buddhist scholar to speak. Beijing said that this “contradicted the basic Buddhist commandments of refraining from lying, tricking others and slandering”. Xinhua said that the Korean Buddhist sect “ruined the harmonious atmosphere of Buddhism and seriously harmed the traditional Sino-Korean friendship”. In other words, Tibetans are not allowed to speak about Buddhism. On its part, the Burmese regime has relaxed its totalitarian rule and decided to ‘work’ with Aung San Suu Kyi, allowing her to travel abroad and to be an ambassador of Burma. In Geneva, the first stage of her tour, she addressed the International Labour Organisation about eradicating forced labour in Burma. The Telegraph wrote: "The visit marks a new milestone in the political changes that have swept Burma since decades of military rule were curtailed last year, bringing to power a new quasi-civilian government. Switzerland is the first stop on the more than two-week tour taking her to Norway, Britain, France and Ireland and which will include a speech in Oslo for her 1991 Nobel Peace Prize." But during her stay in Europe, she will also work hard to remove the last sanctions against her country and try to attract new investments. Between the military rulers and her, there is an implicit understanding; she is allowed to speak her mind, but at the same time, she pleads the cause of Burma. The question which should be asked: who will come out greater after the European tour of Burma’s Iron Lady? It will clearly be ‘Burma’ and in particular the present rulers who have had the courage to 'open' up the country’s totalitarian system and allow Suu Kyi to stand for elections (and now go abroad as an unofficial ambassador). The 'bully' generals have understood that if they can use the former dissident's formidable reputation and her highly respected ethics, it will be a win-win solution for the country. Can the leadership in Beijing understand this? Why can they not use the Dalai Lama as an ally and an ambassador, instead of making him an enemy or a demon? One can dream of the sea of changes this could bring in China and Tibet (and consequently in India). The consequences could be many. One, from a ‘bully boy’, China would become a ‘normal’ State, respectable and even respected. This would completely change the image of China. ‘Image’ has always been important in the Chinese psyche. Then, it could progressively dissipate the Tibetan populations’ resentment and put a stop to the series of self-immolations and constant unrest. In the long run, Tibet could be a model for other restive provinces of China. It will be for the next generation of leaders led by Xi Jinping to decide which image they want to project, a ‘normal’ and respected China or a ‘bully’ and reviled one. The Burmese model should inspire them.